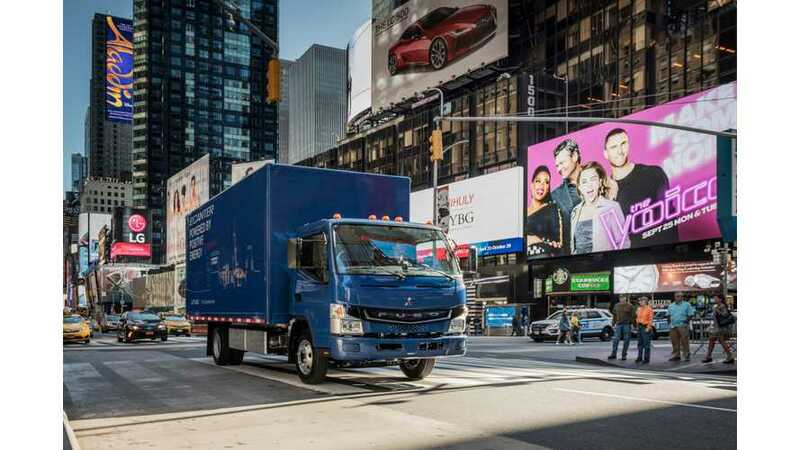 Daimler delivered the first Fuso eCanter electric truck to Penske Truck Leasing for urban delivery in California. In December, Penske received also the first out of ten Freightliner eM2s for testing and is waiting for the 10 Freightliner eCascadia heavy-duty trucks. All the vehicles are to be evaluated in real-world service by various companies to prepare for truck electrification. "Penske plans to operate the light duty trucks from FUSO for urban delivery in California. As an experienced truck manufacturer and through the backing of its parent Daimler Trucks, FUSO can demonstrate its ability of supporting the operation of eCanter trucks through its established parts, service and warranty network of FUSO dealerships."